Nori fled Japan from Ninja Sushi Chefs early in 2007. He arrived in Knoxville, TN where he met new friends and helped them protect the city. 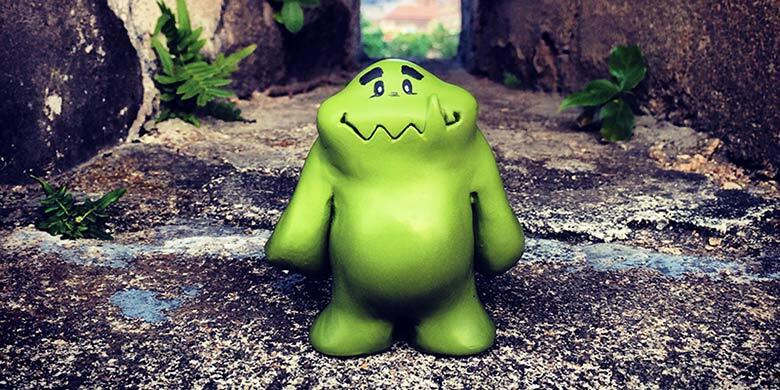 In February 2007 Nori Toy opened as an online retail shop for vinyl art toys and collectables. Initially the business was primarily retail, then in 2008 we expanded Nori Toy to include screen printing services. Nori Toy continued online sales and textile screen printing through 2010 and took a 2011-2013 to relocate to the St Louis area and develop a strong foundation for the future of Nori Toy. 2014 Nori Toy returns with a focus on its own art and design as well as its own line of textiles and entertainment. We are still designing and printing for clients but we are quickly working to grow Nori Toy into something great. Join us on our adventure as we continue to push textile design and grow with Nori and his story. You can reach us via email at info@noritoy.com or @noritoy via twitter and instagram. If you are interested in our eBay auction you can also contact us through their mail system.